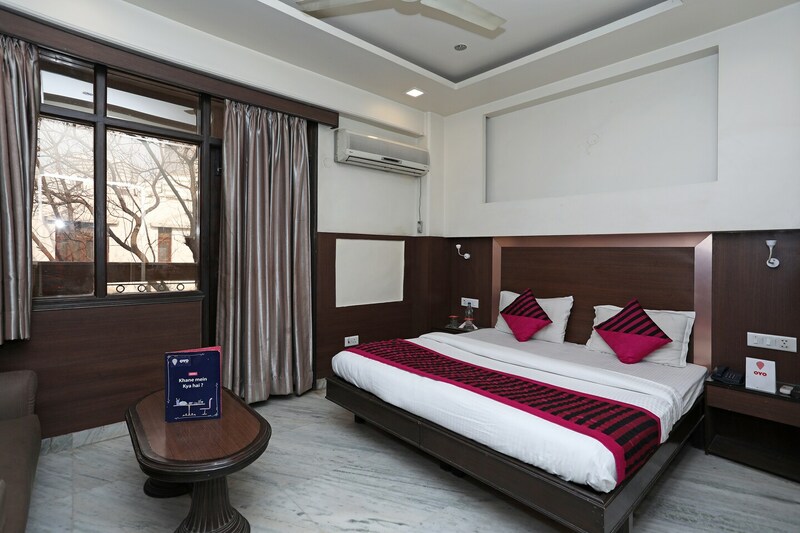 Walking distance away from DLF Cyber City, opposite the Vodafone Belvedre Metro station and just 6 minutes away from the Phase 2 rapid metro station, Hotel Rama Residency is a sophisticated stay at Gurugram. The grand entrance lobby is very attractive with its luxurious interiors and fancy lighting. This hotel provides good amenities in the form of free Wi-Fi, air conditioner, television, geyser, mini fridge in the rooms and comfy king-sized beds. DLF City Park, many restaurants of variety cuisines and IFFCO Forest are all in the 10-12 minute radius of this hotel.